Congrats to Stephen G. of Washington, District of Columbia who just won a $25.00 Restaurant.com gift code for writing a review for Pepwave Surf SOHO MK3 Router with 802.11ac WiFi Hardware Revision 3 at 3Gstore.com! Every week we randomly pick one product review from the previous week and award the writer a $25.00 gift code. We appreciate ALL the reviews our customers write, whether they are positive or negative - honest reviews like Stephen G.\'s help other customers decide if the product is right for them. After you purchase a product from 3Gstore.com, we encourage you to log in and 3Gstore.com and leave a review letting people know how the product worked for you - you'll be helping others, and you'll automatically be entered to win a restaurant.com gift code!. This is an absolutely fantastic router. With 120 Mbps thoughput, it certainly won't give you the better speeds of some of the latest consumer routers. So if you HAVE to have more than 120 Mbps, you'll want a different option. 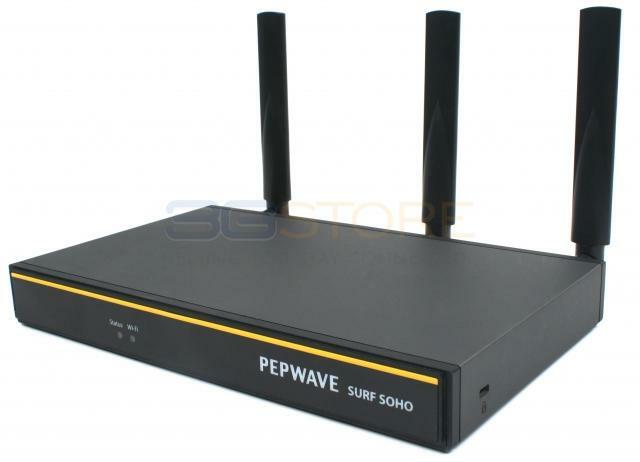 But as detailed by M. Horowitz's blog on router security, the Pepwave Surf Soho MK3 provides numerous options for making wifi more secure -- and in a way simply not provided by consumer routers. Once set up, the thing works very well and with stability. And buying this from the 3G Store only adds to the value -- they include the antennas, and provide excellent sales and support documentation themselves! I highly recommend both the router and the 3G Store.